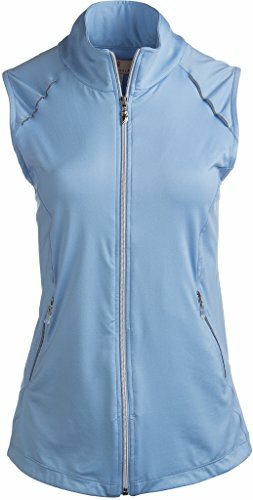 Sport Haley Women's Sonya Full-Zip Vest Add a stylish layer to your outfit when there's a slight chill with the Sport Haley Sonya Full Zip Vest. This piece features reflective instes and zip pockets to add some contrast and provides sun protection with UPC 30 polyester/spandex material. If you have any questions about this product by Sport Haley, contact us by completing and submitting the form below. If you are looking for a specif part number, please include it with your message.